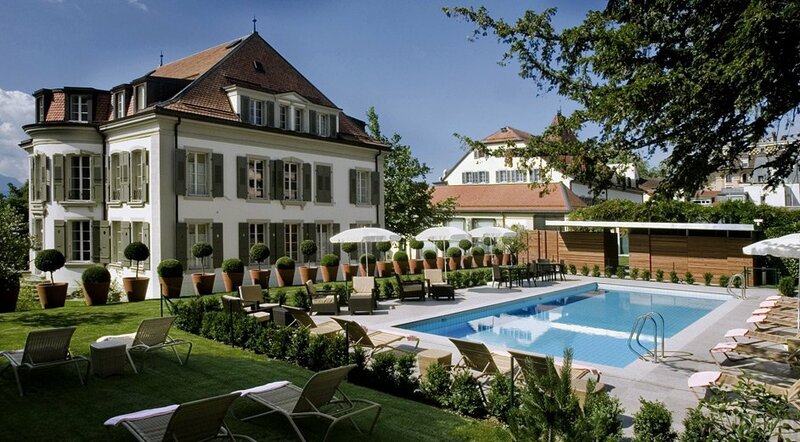 Located on the shores of Lake Geneva, facing the Alps and just five minutes from the centre of Lausanne, the Angleterre & Residence, the neighbour and partner of the Beau-Rivage Palace, offers a world of refinement, elegance and absolute calm. Divided into six pavilions dating from the 18th, 19th and 21st centuries, this one-of-a-kind hotel features contemporary decor with clean lines within walls steeped in history. As well as L'Accademia, Lausanne's leading Italian restaurant, the Angleterre & Residence enjoys preferential access to the new gourmet restaurant at the Beau-Rivage Palace, run by Anne-Sophie Pic. The luxury Angleterre & Residence will enchant you with its warm, friendly, discrete atmosphere.